You know, sometimes hi-fi companies can be a bit too clever for their own good. Yes, I know that manufacturers want to stand out and I encourage that. I also applaud those brands that infuse their products with imagination and add a twist to that branding but when you start naming your products after a Greek alphabet which then means that you then have to add, at some point, an explanation to that symbol in brackets afterwards, I wonder if the impact is lost a little? You also risk problems. I could see two related issues, in terms of marketing and image, when Heed decided to send me a Thesis π (pi) power supply that feeds directly into the company’s own Thesis φ (phi) phono stage. And this before we even get to the sound quality or even the aesthetics. The first issue is the reader’s thought process as the eye moves left to right across both of those names and their attendant bracket explanations and it goes something like this, “Thesis…ok, got that. What the hell’s that little squiggle? Oh, I see. Hmmm.” The name suffers from a major loss of impact and, hence, becomes a bit of a damp squib. If they had called the boxes the ‘Thesis Kevin’ and the ‘Thesis Fluffy Bunny Rabbit’, for example, then at least you would know where you were (plus every animal lover called Kevin would immediately be on your side). 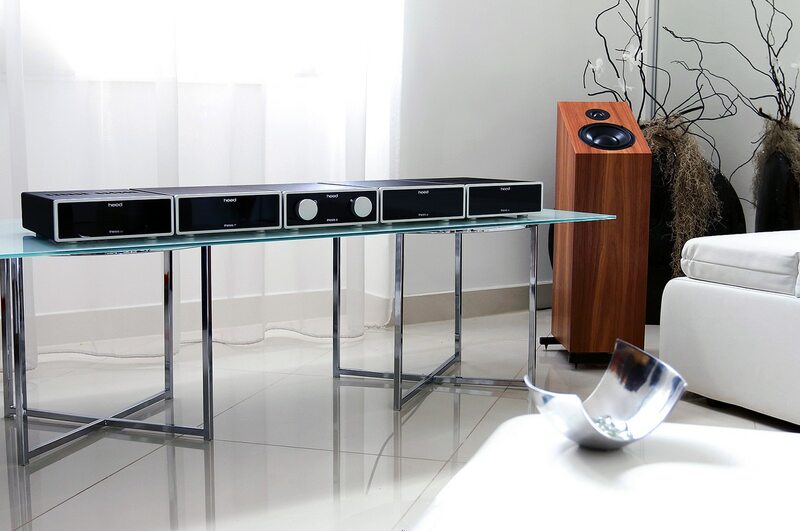 Whatever your thoughts are in terms of branding, both products remain in a black chassis with an aluminium fascia occupying a small footprint of 9.5 x 7.5 x 22cm (phono stage) and 22 x 8.5 x 32.5cm (power supply). The Thesis φ (phi) uses two independent – MM (moving magnet) and MC (moving coil) – amplifier circuits, so it is possible to use two record players connected simultaneously. Cartridge matching is customisable for gain and impedance on the rear panel of the unit by jumpers. They are not as fiddly as you might think and I prefer them to the oft produced DIP switch arrangement which can be confusing. 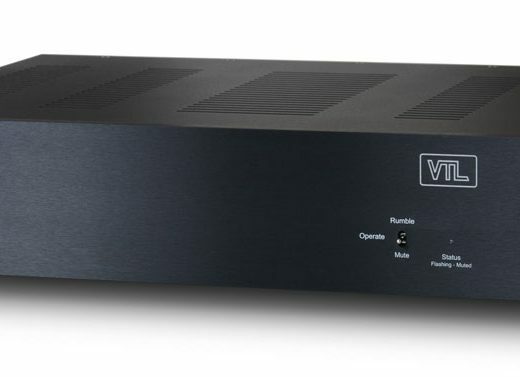 For the record, the phono amplifier includes Moving Magnet outputs of 50 and 600 Ohms and Moving Coil outputs of 50 and 600 Ohms with MC gain levels of 44, 50, 56, 62, 68 and 74dB and MM gains of 33 and 48dB plus input impedance (MC) of 100, 220, 470 and 1000 Ohms plus input impedance (MM) of 47k and 150 pF. As for the power supply? This is a flexible friend in terms of Heed kit, as it can feed the α or λ preamplifiers and the φ phono stage simultaneously. 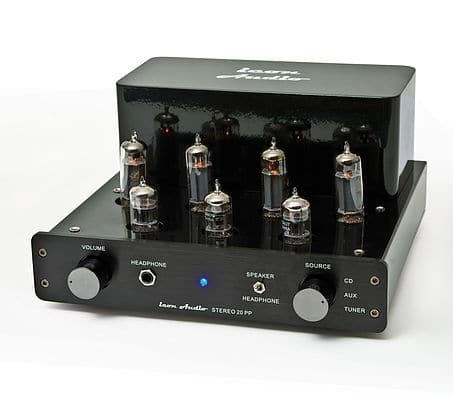 It has two independent sections, each with dual regulated power supply rails and uses “high-grade” components custom made to Heed’s specifications. The only issue I have with the phono amp during use is the front mounted power light. There really isn’t one and, for a few moments, I wondered if the unit was broken when I first installed it. Then I realised that the dark grey brand name on the front of the unit ‘lit up’ to…light grey. It’s not the best power indicator. Subtle and great for evening viewing (who wants a bright blue power light bonding them at such times?) but I feel another solution is needed here. I began with a slice of slow jazz. Dakota Staton and ‘Round Midnight. This track features a quite complex orchestral backing with plenty of elements but the master itself is another challenge as it’s a tad ‘hot’. That is, the compression dares to edge into the red at times. It’s not an overly bright master, don’t get me wrong and the effect is quite subtle but Staton’s vocal can be ever so slightly strident at high volumes and during crescendos. 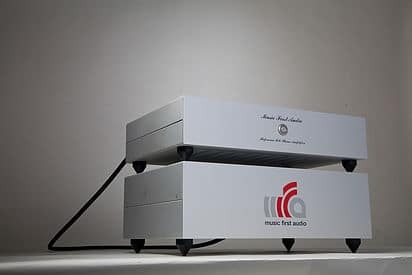 Any quality phono amp has to address potential issues such as this: the idea is to widen the dynamics to make the sound more acceptable to the ear and to not make things worse. I shouldn’t have worried because the sense of clarity and transparency that exuded from the Heed during the first few seconds reassured me that this was going to be a very enjoyable test indeed. That clarity aided the lead vocal. For example, mid-song, Staton sings “Suppertime, I’m feeling sad.” This song suffers from sibilance problems (not a hi-fi issue but a mastering problem). 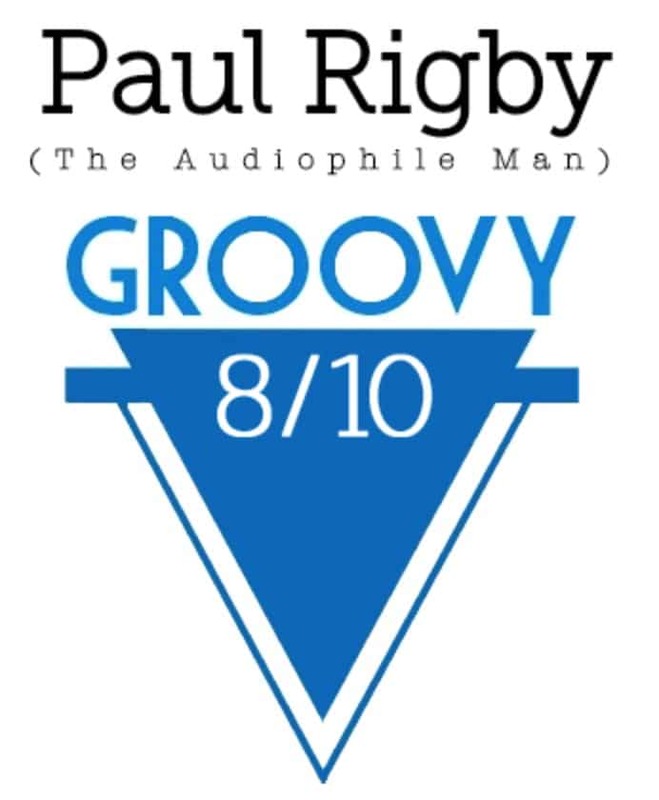 A sub-standard phono amp would emphasis these rogue ’S’ emphasis issues to trigger pain in the ears whereas the Heed de-emphasised the problem to make the sibilance recognisable but not a listening concern. The piano was notable for offering a well formed and controlled presentation while adding a gentle swing. 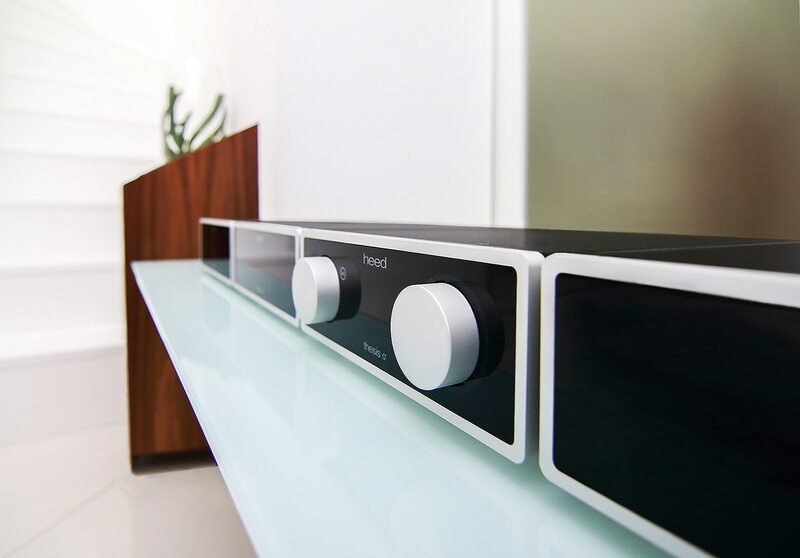 Pianos are a real issue for most hi-fi components because they can be chaotic in terms of dynamics but the Heed’s low noise aspect focused the piano, giving it great accuracy. Staying in the midrange, I was also happy to hear a real attack from the violins which would appear briefly to accent a lyric with emphasis. You really felt the bite of the bow on the violin at these moments. This track doesn’t offer too much in terms of lower frequency but I was, nevertheless, impressed by the upright bass performance via the Heed pairing which added a measure of transient speed to the entire production. Moving to more dynamic fare and Camel’s LP, Moondmadness with the track, Song Within A Song. Two things impressed me about this rock presentation. Firstly, the bass was obviously powerful and meaty but it was restrained and remained within the master as opposed to dominating the entire soundstage. Thus, the music was powered by the bass and the bass was there to propel, it never swamped the master which would have overly warmed the mids. Hence, the balance of the sonic frequencies remained, allowing the upper mids to remain open and informative. Secondly, the instrumental separation of the track, no doubt aided by the low noise design, meant that there was plenty of silence to encourage mini reverb tails and subtleties to protrude from the track. Noise can often mask music and is most effective at hiding the tiny nuances in a piece of music. Remove that noise and the music springs to life, giving you more detail and a greater sense of childish wonder at what you’re listening to. I got that from the Heed. Finally, I gave Ultravox’s track, Sleepwalk, from the 1980 LP, Vienna, a brief listen. I wanted to hear how the Heed tackled this production with its punchy beats. Some phono amps see this track as a very ‘dry’ master but I was delighted to hear that the Heed decided to, instead, emphasise its more organic aspect. There was no sweetness in the presentation, the Heed didn’t move in the opposite direction but it did offer a greater degree of musical information. This allowed the track to sound balanced and more rounded, if you will. 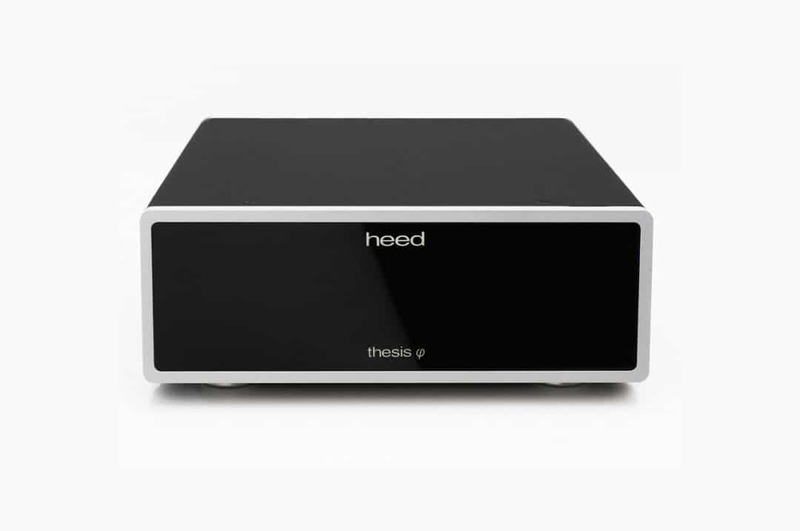 Offering plenty of options, for the price, and a low noise output, the Heed Thesis pairing are both smooth performers that remove enough noise to allow your ear to dig deep into the master, accessing understated and elusive musical detail possibly for the first time.